I have to admit I didn't see much of Madrid while I visited. I was lucky enough to be asked to do a presentation on one of my projects during my post-doctoral fellowship. For this research I used a high throughput instrument developed by Bio-Rad Laboratories, Inc for the detection of syphilis. 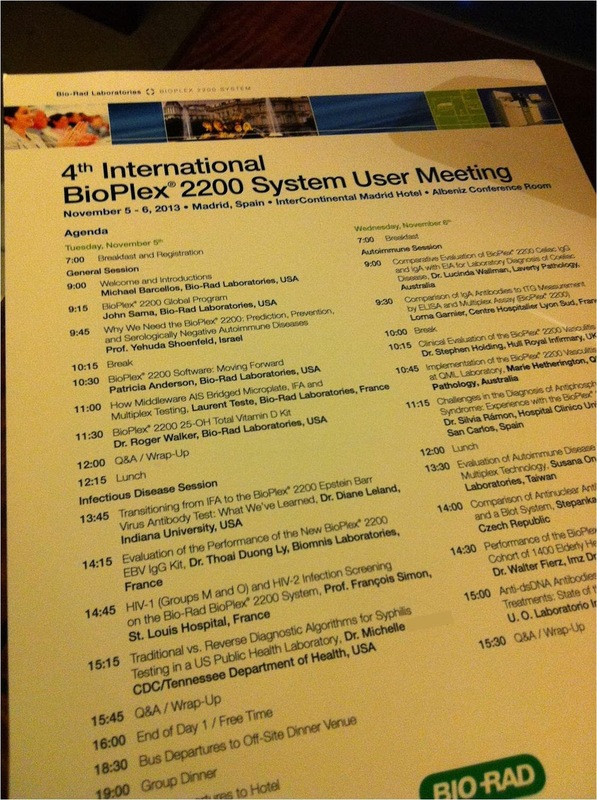 They knew I was moving to Germany, and invited me to speak about my results at their BioPlex 2200 User Meeting. Finally, a chance to talk science! It was a great networking opportunity for me, since all of the attendees were from laboratories in Europe. I enjoyed learning about all of the different diseases the instrument can be used to test for. They even have an assay developed for celiac’s disease. I am so grateful to have been offered the chance to speak at the conference. I haven’t talked science in 4 months, and have missed my first true love (sorry Sam, we had a connection long before I met you). I also met two successful professional women, and they restored my faith in the idea that you can be a successful professional woman and have kids too. Okay, enough about me and my love for science. Here are a few pictures of my hotel! I stayed at the Intercontinental Madrid. It's located in the business district, but it wasn't too far from the sights. The staff was really welcoming, and it's one of the nicest rooms I've had the chance to stay in a while. Too bad Sam wasn't here to enjoy this huge patio. I loved, Loved, LOVED Spain! I studied Spanish in high school, and always dreamed of visiting Spain. Woohoo, now I can check the box of dream come true ;). 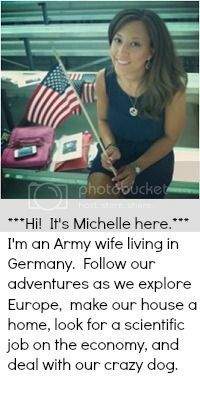 I'm hoping we visit Spain as often as possible while we are stationed here in Europe. I feel way more at home speaking my mixture of German - Spanish here, which is crazy since my German knowledge is so little. Here are a few pictures of my sightseeing during a break in the conference. Plaza de Colon - This plaza commemorates the explorer Christopher Columbus, and is home to the biggest flag in Spain. Gigantic! Puerta de Alcala - Built in 1778 as a monumental gate in the city wall in order to get rid of the drab medieval city walls. You can find it in Independence square. Ciebeles Palace - One of the world's most beautiful city halls. There is much more to see in Madrid, and I hope to return to see the Temple of Debod, and the Plaza Mayor. In 1968, the Temple of Debod was donated to Spain by an Egyptian state for gratitude in helping save the temples of Abu Simbel. It's one of the few Egyptian architectural works that can be seen outside of Egypt. The Plaza Mayor is a famous plaza where bull fights, soccer games, markets, and executions took place in the old days. I saw this on a bus ride in the city, but I would have loved to walk around and take it all in. 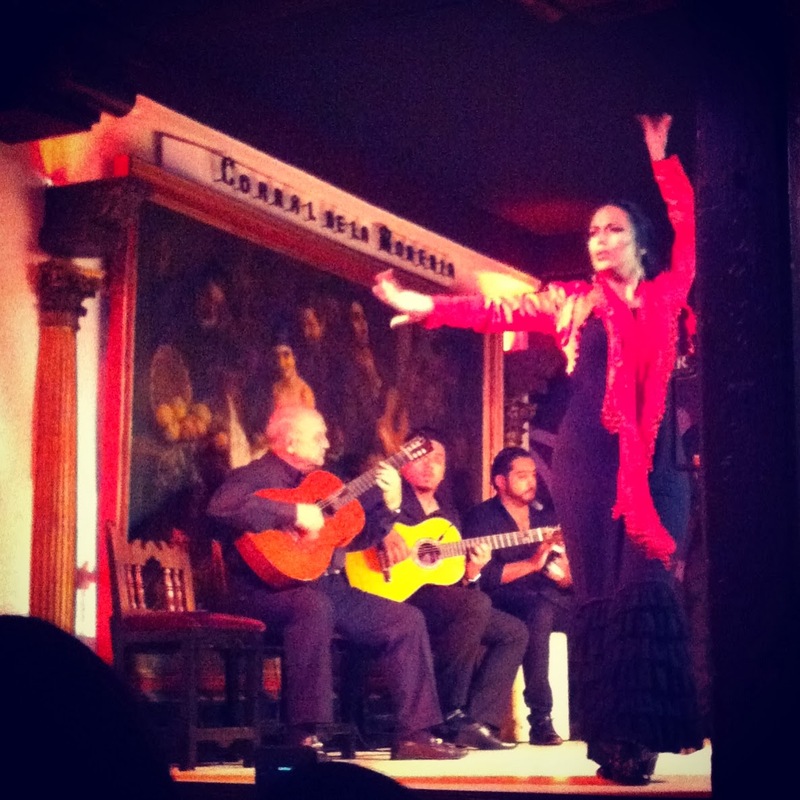 I was lucky enough to eat at the famous Flamenco dancing restaurant Corral de la Moreria. Flamenco is a traditional Spanish dance that involves singing, guitar playing, dancing, and hand claps. I was mesmerized the whole time, and this goes on my list of best performances ever seen! I took a few videos to share with you! Enjoy! OhmyGOD woman, the views were fantastic! And I'm so glad you got your science on ;) I really wanna be your sidekick and tour Europe!